P.O.S. Software programs are the best fully integrated point-of-sale and small business sales management software running under Windows. P.O.S. Software programs include video clip instructions for easy setup and implementation. Our Software is powerful, affordable, reliable, easy to use, and contains more features than higher priced packages. With P.O.S. Software programs you're not going to get unnecessary and complicated features you'll never use. You'll get exactly what you need for exactly what you would expect to pay for an exceptional program. Plus, with the P.O.S. Premium software package, your business can operate its own CUSTOM WEBSITE with an INTERNET SHOPPING CART, similar to the shopping cart running on this website. 06/22/1999 We are the first to include Internet shopping cart integration and the only company to include RapidChecks. P.O.S. 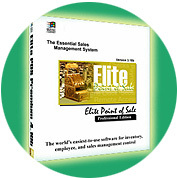 understands that business owners need to control their inventory and employees. We believe businesses that are in control, save time, reduce losses, increase profit and productivity, and ultimately control the growth and success of their company. Whether you have one or several locations, P.O.S. software gives business owners "the power to take control"(TM). We challenge you to try and find another affordable P.O.S. program with similar features. Offers several software versions to choose from. Please examine the chart below to compare features.